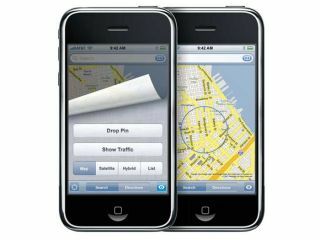 Could future iPhones drop GPS altogether? GPS technology will nudged aside in the years ahead, as hybrid location systems using Wi-Fi and Cell-ID take over, according to analysts ABI Research. The high-tech consultancy estimates that assisted GPS Cell-ID and Wi-Fi-based technologies will make up a quarter of all positioning systems by 2014. The Global Positioning System was originally developed for use by the American military and gives great results in open terrain. Indoors or in crowded cities, however, getting an accurate fix can be difficult or even impossible. Assisted GPS and Cell-ID systems (using the position of mobile phone towers) and Wi-Fi locators like SkyHook are already filling the gaps in GPS coverage, and more technologies are coming online all the time. ABI Research predicts the rise of motion sensors, TV broadcast and proximity technologies such as Bluetooth, NFC and RFID, as manufacturers seek the lowest-cost solution to offer location-based services. The future is in hybrid technologies - platforms that aggregate location information from various sources to give the best possible data (and services) to mobile users. And it's not just mobile phone operators who are rubbing their hands - Google is building its own reference database of cell-tower and Wi-Fi hotspot locations via user-generated content and self-learning mechanisms, allowing it to offer location services independent of phone companies.